VietNamNet Bridge – The government’s commitment to purchase all electricity output generated from waste-to-energy projects have encouraged more investors to develop projects in HCMC. HCMC produces 8,500 tons of domestic waste every day which is treated by Vietstar, Tam Sinh Nghia Investment & Development JSC, Vietnam Waste Solutions and Citenco. The municipal authorities have called on investors to invest in waste-to-energy plants which generate electricity and protect the environment. According to Thoi bao Kinh Te Sai Gon , 34 investors, Vietnamese and foreign, have shown their willingness to develop projects to improve dumping grounds and treat waste with waste-to-energy technology. HCMC plans to organize a conference to call for investments in waste-to-energy projects until 2025 with participation of representatives from 18 southern provinces, investors and experts on solid waste treatment. In fact, some plants that burn waste to generate electricity have been set up in HCMC and they have been selling electricity to the national grid. 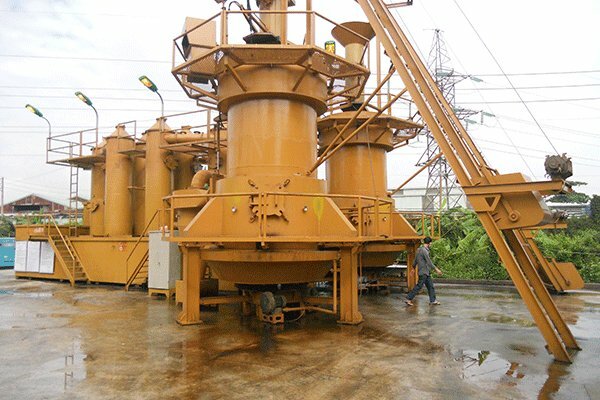 According to Dong Minh Toan, chair and CEO of Binh Phuoc Import/Export JSC, his company has invested more than VND30 billion in a project at Go Cat dumping ground run by the Hydraulic Machinery Company. Toan estimates that with the electricity price of VND2,200 per kwh and the waste treatment fee collected from waste source owners, it is feasible to take back the investment capital. He plans to increase the capacity of the project in Go Cat to treat 1,000 tons of garbage a day. Under the PM’s Decision 31 dated in 2014 to support the development of power plants using solid waste, EVN will have the responsibility of buying electricity for 20 consecutive years from the power plants at the price of 10.05 cent per kwh. Meanwhile, the developers of the project can enjoy investment incentives, including preferential tariffs of equipment and land use right fee remissions. Experts believe that burning waste to generate electricity could be a good solution for Vietnam and for countries with limited land bank and energy. However, they warned that Vietnam will have to deal with the classification of garbage at source. Ten years ago, the classification was implemented in a project funded by JICA (Japan International Cooperation Agency). However, the project failed. Vietnam also needs to be capable to closely monitor the technology model it utilizes.